"Look in both directions before you cross any line or roadway. It is just as important to do so on railway premises as it is on roads. And don't forget that one train can hide another. Remember you are not allowed to walk on the line or cross the rails (except at a level crossing) unless you have to in the course of your work, or you are going to or from your work by a permitted route. Don't try to pass between vehicles that are being shunted and walls of buildings. 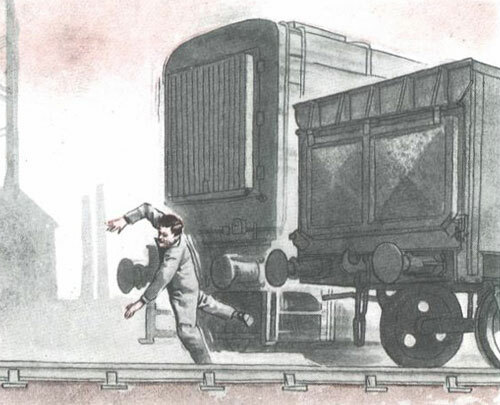 Where you cannot use a crossing, always step over the rails and not on them. Keep to paths. Never walk along in the four-foot: it is highly dangerous."